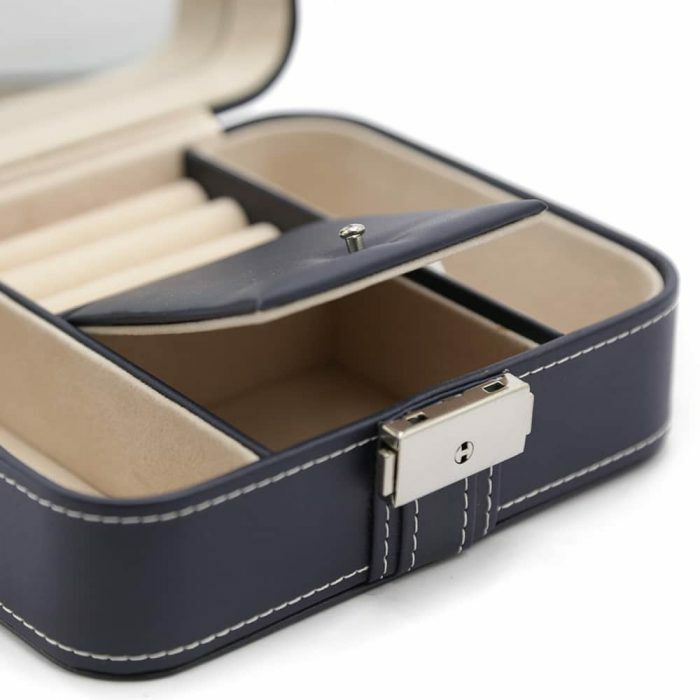 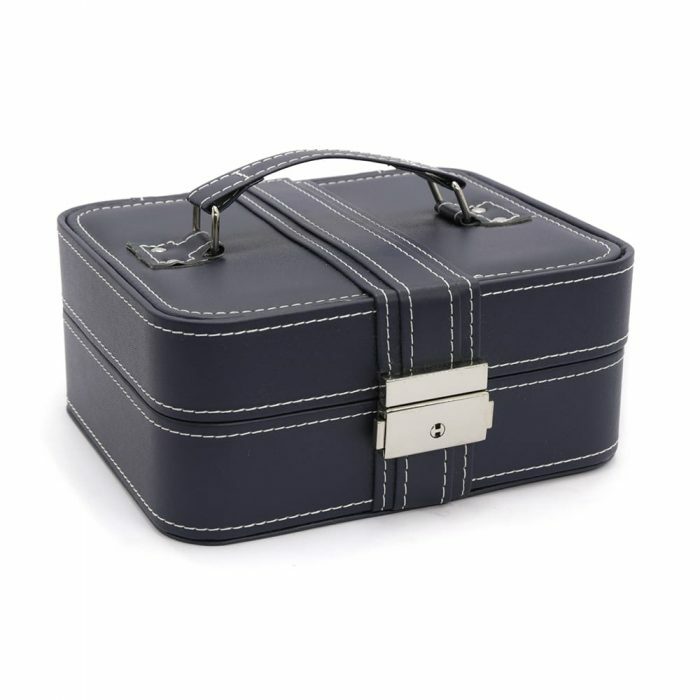 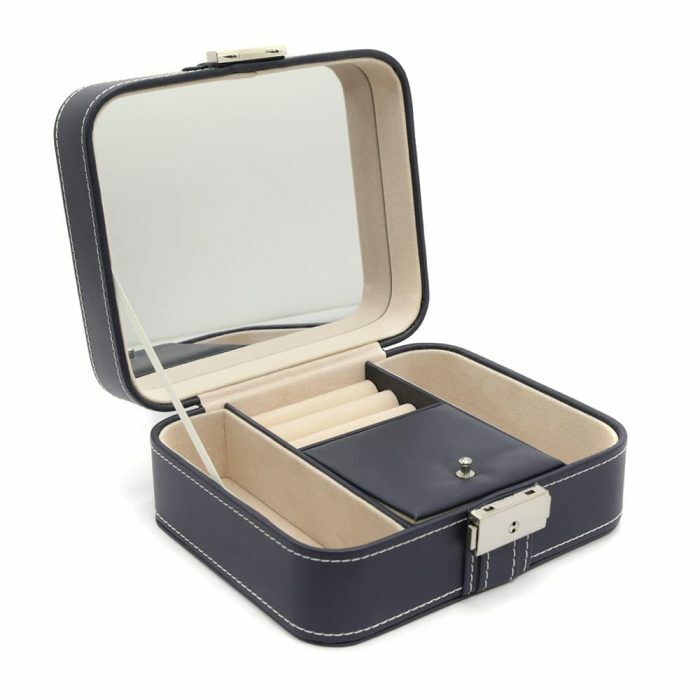 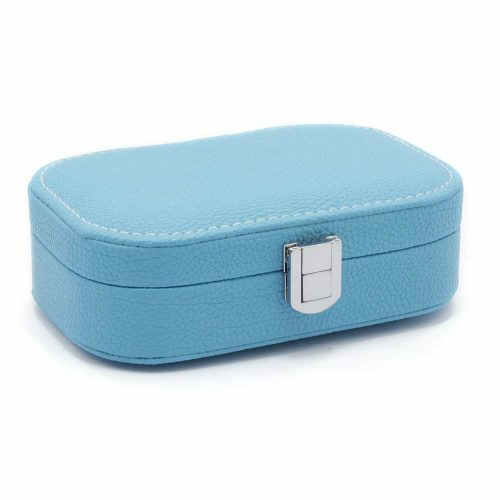 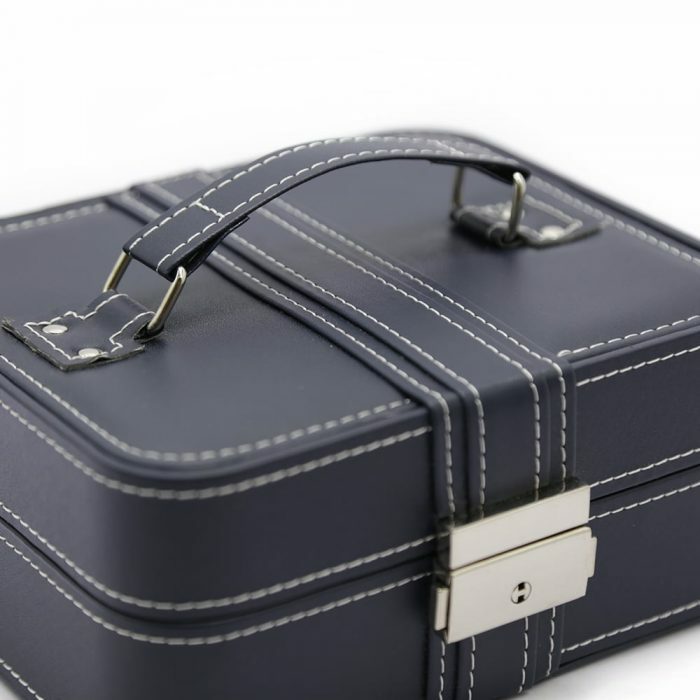 This Deep Blue Jewellery Box has a stunning matte blue exterior with white stitching along the edges and silver features. 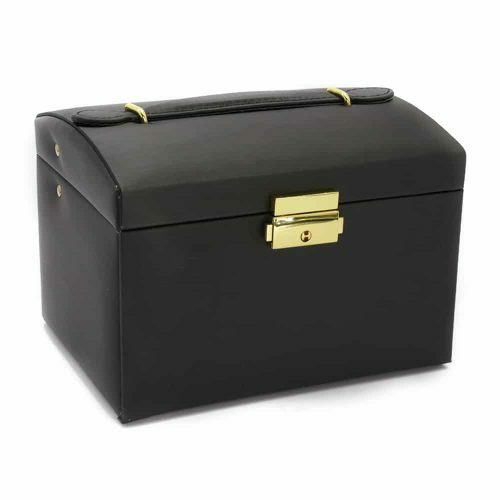 When opened, it has a stunning cream velvet interior. 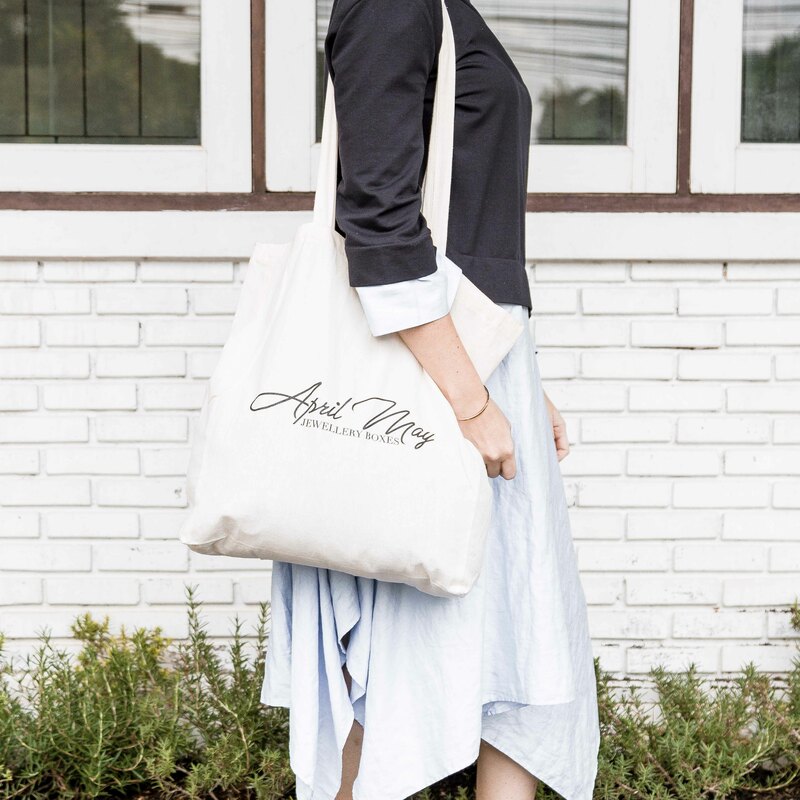 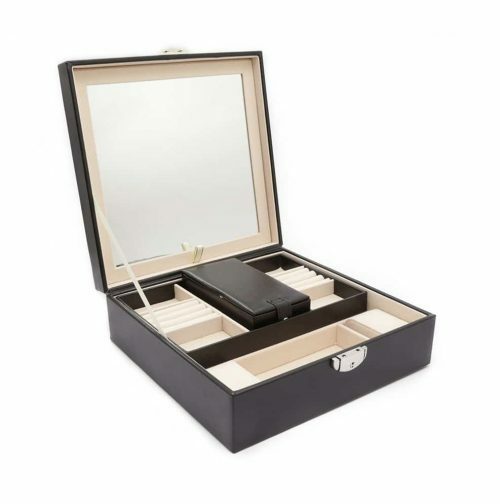 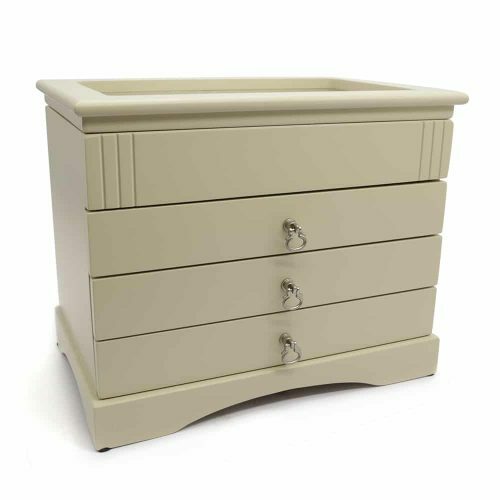 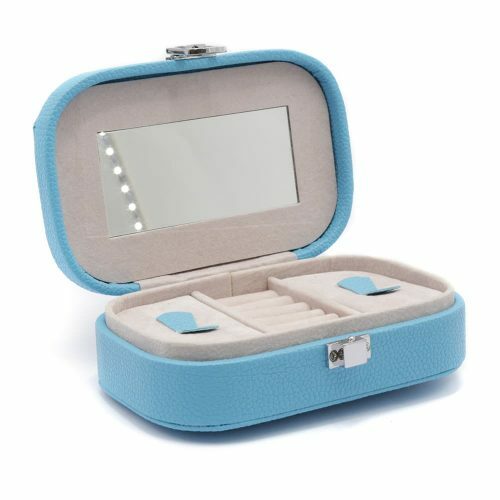 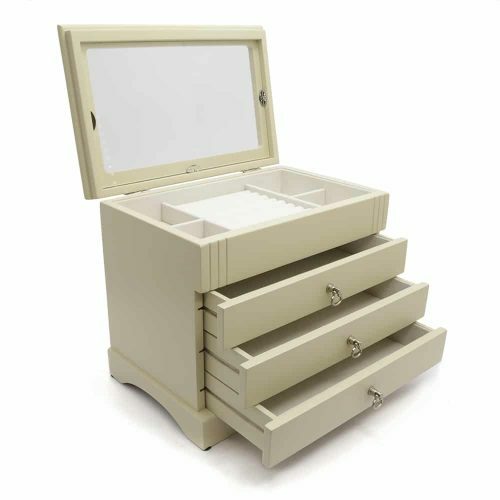 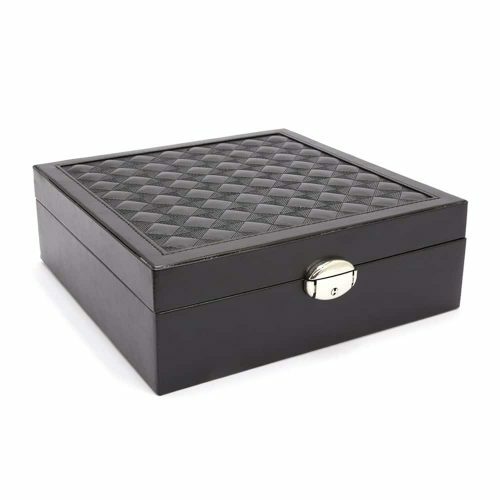 One of the best features of this box is its large mirror and compact design to fit your jewellery, bracelets, rings, necklaces or small cosmetics perfectly while keeping them tangle free. 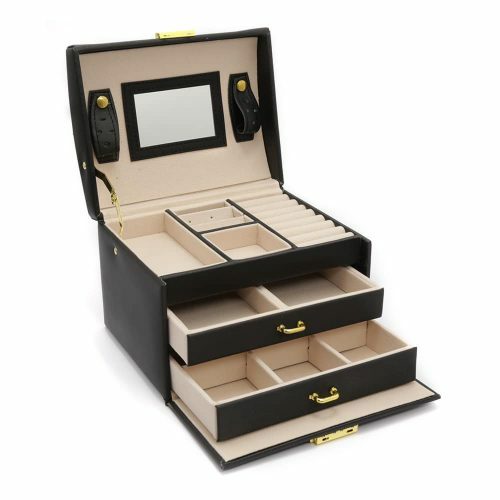 It also has a lock and key to ensure your jewellery is safe and secure.